We really enjoyed working with Duane. He is readily available and thorough with information regarding what kinds of loans are available to us. He has very good resources to recommend sites. He is personable with an excellent sense of humor. We would recommend him and his services to our friendsand family. While he is thorough, he is not a know-it-all and will admit to not knowing the answer to a question but then get right back to you with the answer and recommendation. Duane has been an absolute pleasure to work with. He is in the process of helping us sell our home and we are absolutely thrilled that he is our realtor. There is no doubt in my mind that he is working in our best interests, which is a very comforting thought. Thanks Duane! "We interviewed a few Agents recommended by coworkers and friends. We liked Duane the best, he worked hard for us and went above a beyond. We were moving out of state and had to leave our house, while we were gone Duane checked on the house and found a small roof leak. We contacted a contractor and Duane was able to help facilitate the repair since we were over 1000mi away." 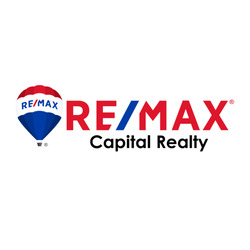 "I could not have found a more professional, honest, reliable, understanding, compassioniate realtor. He would return calls promptly and was always happy to answer my questions. I was purchasing a house for the first time, so I needed a lot of help in understanding the ins and out. I am recommending him to anyone who need to purchase or rent a home. He was always ready to go above and beyond duty." "Duane is a very knowledgeable realtor. He is very patient and has the needs of his clients in mind. I spent five months looking for a house before finally deciding to build. Duane was very pati ent with me, showed me many houses and with each showing he tweaked the criteria for what I was looking for. Duane is very responsive to the needs of his clients and is the type of person who really does care about the needs of his clients. Duane isn't looking for a quick sale/purchase. He really does listen to the clients needs. It was a real pleasure working with Duane." "Where do I begin? Duane is the best realtor you can find! He works harder than any other realtor we have worked with and produces on all his promises. He not only found my husband and I an amazing home, he also made sure we landed the best deal in a competitive bidding war. He saw us through eachaspect of the buy, only bringing his best to the table. Whenever I had a call, text, or email he responded promptly and in a way that made my opinions and feelings be acknowledged and accounted for, while guiding us in the right direction for our home needs. He also helped us through a short sale situation that was less than pleasant. He sought out all the needed information and worked extra hours to see us through the year long process. If you want a realtor who works hard for you and gets you all you want and more, look no further!" "Dear Laurie: I’m glad to have you as my realtor. You’ve been very courteous and patient answering all of my questions. You were very helpful in finding the right house and getting it closed on time for me. I really appreciate you not just as my realtor but also as a new sister in Christ. God Bless you!" "What can I say, Duane sold my house in 5 days at the high price the house was valued at. He was friendly, professional and thorough. He answered all my questions quickly and was extremely knowledgeable about the market. Above all he made me feel comfortable throughout the process. I was 1200 miles away and I knew I had nothing to worry about. That was extremely important to me. When the time comes to sell my Mom's house I will definitely call Duane and recommend him highly!!!" "Look no further when you are buying a home. Duane is absolutely fantastic and I have dealt with several realtors around the country and none have compared to his loyalty, trust, knowledge and knowing how to negotiate. My family just purchased a large high-end house and he knows all market price points. We are getting ready for Duane to list our other house and I have full confidence in his listing capabilities. Don't wait - call Duane." Duane Hayden is a great professional that allowed the home buying and selling experience to be positive. Duane sold our previous home in record time putting together an impressive marketing package. He assited us in finding the perfect home for our growing family in the neighborhood we desired. Iwould HIGHLY recommend Duane for all your real estate needs. "If you're going to buy a house, get Duane to be your buyer's agent. No questions asked." "Duane Hayden is very professional, courteous, prompt and an all around joy to work with. He went above and beyond in assisting with the finding and purchase of my new home. I would highly recommend him to anyone." "We were living in another state and, in all honesty, we selected our real estate agent out of the blue. But WOW! We really picked a great agent with Duane Hayden. We flew into Tampa and Duane had a list of houses ready for us to view. We spent the entire day with him, then met him again the next day and looked at several more houses. Once we selected our new home, we flew back out of town. Duane handled all of our questions, helped us navigate the loan process and the selection of inspectors, and, most importantly, he kept a watchful eye on our new home and made sure that it was maintained by the previous owner until we closed on the property. Duane has been exceptionally helpful in answering questions, providing contacts, and making sure our all requirements were met in the closing process. If you are looking for a real estate agent who is professional, experienced, and will go the extra mile if needed, Duane Hayden is your man!" "Duane is an outstanding realtor and person. His professional expertise helped my wife and I purchase a home recently. He was with us every step of the way and was always available to answer any questions or concerns we had. Highly recommended." "Absolutely fantastic experience! Duane is extremely diligent, responsive and professional. It's a tough market for first time home buyers like me and I couldn't have hoped for a better agent to guide me through the process." "Laurie and her team were so wonderful to work with. She made us feel at ease while searching for our perfect first home. She was also very knowledgeable about working with a veteran and made the process easy and stress free. We will definitely be reaching out to her the next time we are home shopping. Thank you, Laurie for helping us find a place to call home!" "OMG, hate to use a cliché, but Laurie had me at HELLO. Laurie is such an easy person to talk to. I was an out-of-state buyer looking to purchase a property. She had any and all answers to my questions within a few minutes. Laurie went to my interested property and did a video chat with me so I saw everything inside the condo as if I was there with her during a real walk thru. I never had to worry about any next steps that needed to be done during the purchase process. She was there with every last detail and any FYI’s that I might want to know. Laurie, thank you for everything. And I can’t wait to meet you. I need to buy you a drink and celebrate and say thank you!!!!"